Comment: About 30% of our rear gutter has pulled a slight bit away from the roof. Looking for someone to reattach it. Comment: THe Gutter on the one side is sagging and the wood behind needs to be replaced. Comment: 1/2 round gutter needs repair at seam and retilted to a proper slope. Comment: Damage to gutter from last Fridays storm. Gaithersburg Gutter Cleaning & Repair Services are rated 4.70 out of 5 based on 2,977 reviews of 37 pros. 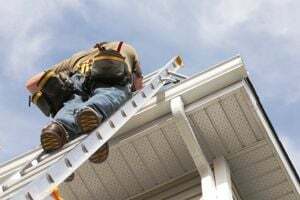 Not Looking for Gutters Contractors in Gaithersburg, MD?